BargainPrinting.com has the ability to create high-end custom prints. We offer a variety of sizes to accommodate any project and budget. All catalogs are saddle-stitched (stapled) at the spine. 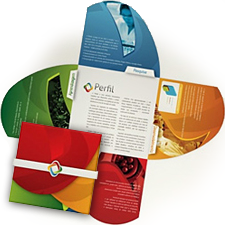 We recommend full color printing for higher impact catalogs, but we have the ability to match any Pantone Matching System color of your choice. We work with a variety of papers from 80lb text for affordable content pages to 12 pt heavy stock for impressive covers.